Below are short and long versions of the iqClock launch press releases, both in English and in Dutch. Caption: Schematic drawing of the superradiant optical clock that will be developed by the iqClock consortium. 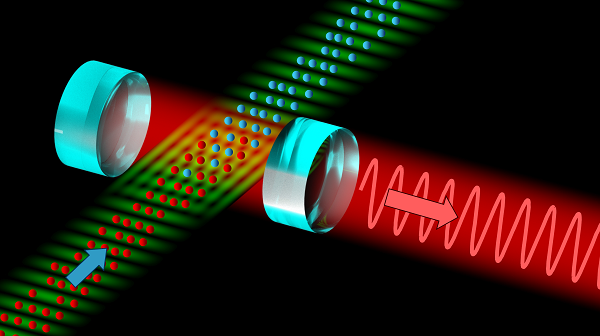 The input (blue arrow) is a continuous stream of ultracold strontium atoms; the output (red arrow) is a laser beam with a highly precise frequency used as reference for an optical clock. 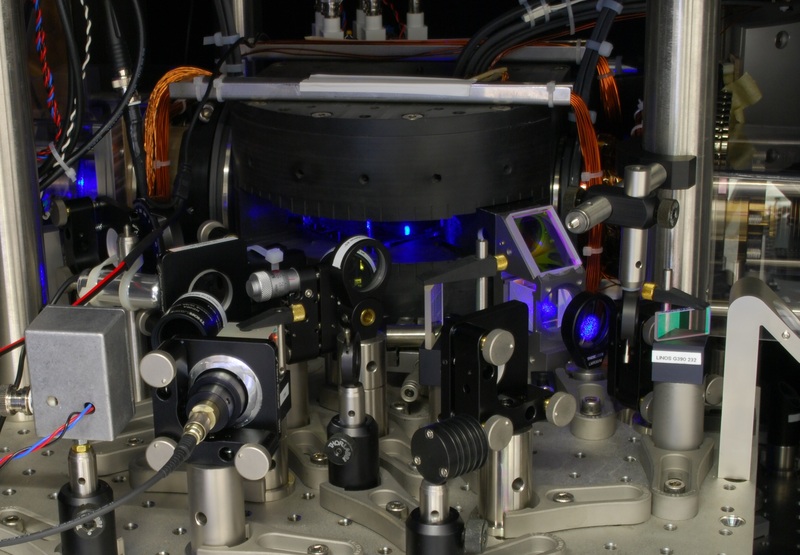 Caption: An ultracold cloud of strontium atoms in a vacuum chamber surrounded by electromagnets and laser cooling optics as used in the iqClock research. The European Commission released the documents below, providing further media information about the Quantum Flagship programme that iqClock is part of.